Captain David Hutchison, or Hutch as he is known, started competitive sailing at the age of 16. Racing around the world in all the classic races on Maxi yachts and breaking quite a few race records along the way. He has also been a captain for 35 years and has over 650,000 sailing miles as captain. Hutch has captained 6 Perinis from the 64m Felicita West to the 52m Liberty, along with 52m Squall, 49m Andromeda la Dea, the old 50m Perseus, the new 60m Perseus 3, and now Rosehearty. These boats averaged 10 weeks of charter a year, and eight weeks of owner use. Sailing is his life and his hobby. When not working, Hutch sails on a catamaran with his chef wife Raya. He has also been the owner s surveyor on 6 Perini new builds, but sailing and exploring are his real loves. Hutch also enjoys cycling, swimming, occasional diving, travel and reading. 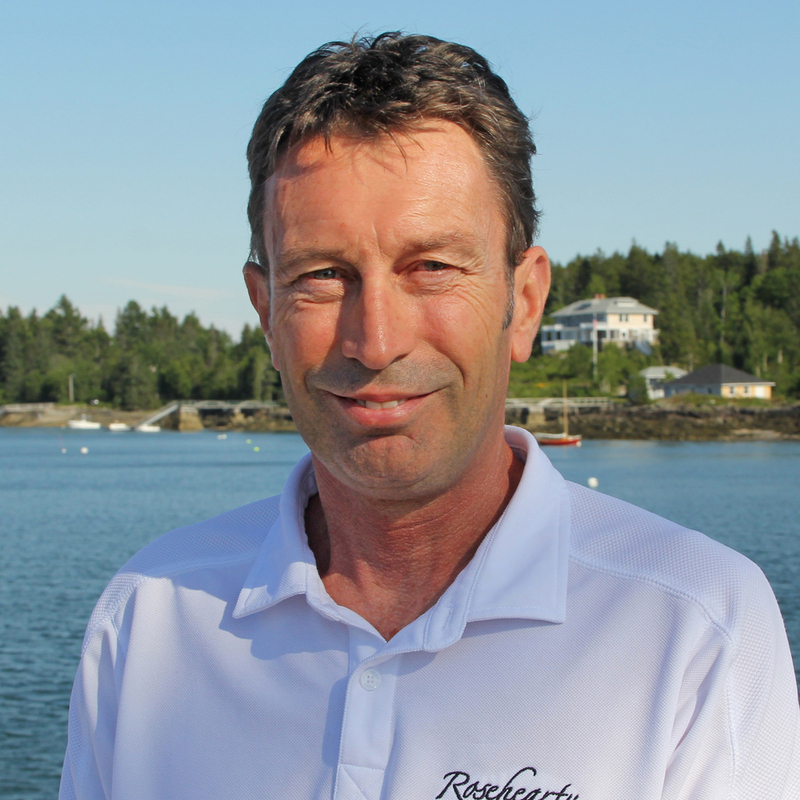 Raised on the East coast of the States and mechanically trained in the automotive industry, Brian’s interests quickly shifted to the Maritimes in 1983 where yacht maintenance and engineering subsidized travel and adventure interests. The opportunity to sail an ocean passage in 1992 lured him to his first crewed Yachting position. After that, there was never a doubt that this would evolve into a life profession. This career path has included Engineering and Captaining Roles on pedigree sailing and explorer yachts including Perini Navi, Royal Huisman and Alloy yachts NZ. Yachting and marine industry has taken him to four corners of the planet and now takes great pleasure in showing clients and crew a unique view of the world that only yachting can offer.Besides Sailing his free time revolves around other outdoor recreation, mainly alpine or ocean sports with a recent interest in marine conservation. Markus comes from three generations of seafarers and from his early teens has been making his living in the many facets of the marine industry – brokerage, deliveries, water front construction & yacht maintenance. When not persuing his career aboard prestige yachts he can be found sailing his classic Herreshoff timber ketch, Sea Rambler, in the idyllic Broken Bay area of the northern beaches of Sydney. Markus is a lifelong surfer and is still passionate about travelling and being at sea. Peter was born in Waitangi, Chatham Islands. He was educated at Massey University, NZ Military Academy, NZ Maritime College and Warsash Nautical College. Peter to some degree is following his father who was a Master with the NZ Shipping Co. Both by chance attended the same nautical college in Warsash, Southampton. When not onboard Peter lives with his wife and 2 children in North Eastern Thailand hobby farming rice and other crops. Peter gained a commission in the Royal Corps of Engineers and represented New Zealand as a cyclist for 5 years winning the Oceania Games in 2000. He has always had a ‘knack’ for engineering and lives for the ocean environment. Richard was born in Melbourne, Australia where he completed a Bachelor of Mechanical Engineering from the University of Melbourne. He has been on the water all his life, with the only access to his family home being by water. From a very young age he has sailed competitively in a variety of classes. Learning to maintain and repair boats was the way of lifegrowing up. Since then he has gathered over 30 years experience on a large variety of yachts. He joins Rosehearty from the 40m Perini sailing yacht State of Grace. In his spare time Richard enjoys kitesurfing, paragliding, sailing, fishing, diving, traveling and learning about new technology. Mark is a highly driven and motivated individual with an ability to demonstrate a diverse range of experience working on vessels. His relationship with water started at a very young age. Coming from Omaha, New Zealand, yachting was destined to be in his blood. He began sailing small dinghies at eight years old and later progressed to large ocean yachts. After completing his national certificate in carpentry, Mark decided to pursue his passion for engineering and sailing by becoming an engineer on the 50m Perini Navi is a Rose. Mark joined Rosehearty in October 2013, and he has since demonstrated solid working experience as a 2nd engineer and deckhand with a proficient understanding of the requirements needed to ensure safe and smooth flowing operations of chartered vessels at sea. Ethan was born in Southampton, England where he began sailing at the age of seven on his granddad’s Hobbie Cat Madame Butterfly as well as other small dinghies. At the age of ten his family swapped seascapes for landscapes when they moved to a small farm in the West of Ireland surrounded fields and lakes. Ethan is back on(board Rosehearty for his second time, having found his sea legs on(board in early 2013. He has been working on yachts for three years now, and will be completing his 7th Atlantic crossing. He enjoys racing, and has completed six regattas while working onboard S/Y Seahawk, another Perini Navi. When not on board Ethan is looking for new places to go with his camera, hiking and playing rugby. Hugo hails from Oxford, England and his passion for life at sea started as a young boy dinghy sailing on family holidays in Greece. He has been yachting for almost five years and prior to joining Rosehearty delivered various sailboats to the Azores and destinations around the UK. When not onboard, Hugo is a keen cyclist and recently completed a tour taking him from Oxford to Barcelona, working and staying at small farms along the way. Michael is comfortable and adept at cooking for all clientele. His experience has been onboard sailing, racing and super yacht vessels, as well as in restaurants and private homes. From the 40m SY State of Grace, 52m Squall for Michel Reybier Cooking at his La Reserve resorts..
Michael enjoys working with local producers from the fields and the fishermen in the harbours. He loves foraging for the freshest ingredients.. His other interests include Scuba diving, Cycling. Raya first began her yachting career twenty years ago with experience on sailing, racing, and super yachts, as well as in restaurants and private homes. She has traveled the world cooking and pursuing her passion in photography and learning from other cultures. Raya enjoys farm to table cooking using the freshest local and seasonal ingredients available with a high emphasis on good health. She also specializes in fusion cuisine but can accommodate a broad range of culinary requests. When not in the galley cooking Raya s other passions include paddle boarding, photography, traveling to new destinations and reading. Renee was born and raised in Rhode Island, the ocean state. Although she did not grow up on or around boats, the ocean was always a big part of life. In 2007 she graduated from the University of Rhode Island with a degree in Textiles, Merchandising, and Design. Throughout her time in school she worked in the service industry, which led to a job as a server at The New York Yacht Club Harbor Court house in Newport. This is where she learned the art of fine service. She started working on boats in 2008, and loved the combination of traveling while doing what she loved on the ocean. Over the years she has worked on both motor and sailing yachts and is ready to use her experience to make your stay on Rosehearty memorable and enjoyable. Lenka was born and raised in Czech Republic, where her lifestyle consisted of snowboarding, skiing and hiking. When near the coast her hobbies extended to sailing, wake boarding and kite-surfing. Lenka started her hospitality career working on a charter plane for six years as an airhostess. She then moved to the UK where she broadened her servicing skills as waitress in restaurants. During the winter seasons in the Alps, France, Lenka worked in very high profile Chalets as a Chalet host for two seasons. Her passion for traveling lead her to sailing where she developed her role as stewardess over the past eight years. With her years of service and hosting experience, Lenka worked on high profile sailing yachts, including Artemis, Antara, and Lady B as chief stewardess. Lenka will be on hand to help accommodate any special requests and ensure your stay onboard is both comfortable and enjoyable. Catherine is a cheerful, down-to-earth, sunny South African. Growing up on the coastal shores of Durban, the sea was on her doorstep. When it was time to choose a University, she left the warm Indian Ocean for the beautiful pairing of the Indian and Atlantic waters of Cape Town. Here she completed her Undergraduate Degree, majoring in Psychology and Organisational Psychology, and her Postgraduate Certificate in Education. Catherine has a real zest for life, counting people, food, and travel as her greatest loves. This is what led her to believe that yachting was the perfect career for her. Catherine has previously worked as a second stewardess on 47M M/Y Yalla. She finds thorough enjoyment in knowing that her guests are having a good time. Her positive spirit is contagious and she hopes that this will enhance your time aboard. When not onboard, Catherine is a keen endurance runner. She has completed three Comrades Marathons (89.9km), of which she was the youngest female competitor.